Editor’s note. This first appeared in the Sacramento Bee. The U.S. Supreme Court will soon hear a case concerning a California law that compels pro-life pregnancy centers to engage in speech about abortion. Erwin Chemerinsky, dean of the UC Berkeley School of Law, recently wrote a column urging the Supreme Court to uphold this dangerous compelled-speech law. But the Supreme Court has continually held that the First Amendment prohibits such coerced speech, and it should do the same here. Assembly Bill 775 requires licensed pro-life pregnancy centers to post a sign declaring that California offers access to free or low-cost abortion services. It further requires each unlicensed pregnancy center to post a disclaimer that it is not a licensed health care facility, in up to 13 different languages. This is akin to the government requiring the American Lung Association to advertise cigarettes. How so, you ask? Pregnancy centers exist to provide women experiencing unexpected pregnancies the resources they need in order to provide for their child, and do so in furtherance of their pro-life viewpoint. But the state wants to impose its viewpoint on these centers by forcing pro-life pregnancy centers to engage in compelled speech about abortion. Regardless of one’s personal feelings about abortion, the Constitution prohibits this type of discriminatory government-sanctioned speech. Importantly, the bare legislative record contains absolutely no evidence of even one woman actually being harmed by a pregnancy center. Rather, the record largely relied on unsupported, biased “reports” carefully crafted by organizations that oppose pregnancy centers because of their pro-life views. It is clear that the purpose of this law is to target pro-life speakers. 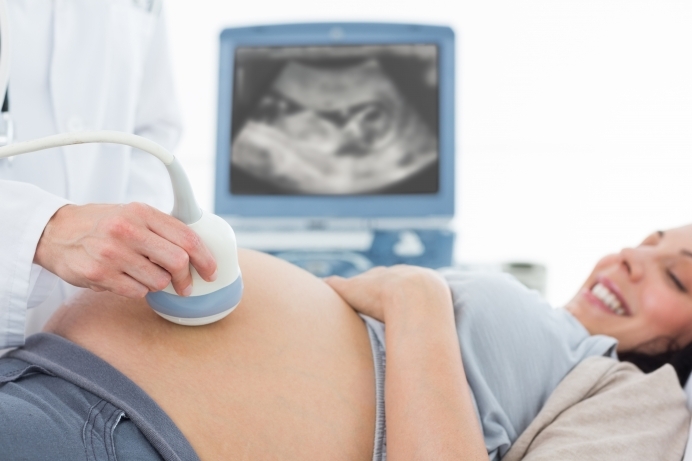 Licensed pregnancy centers provide pregnant women care from a pro-life viewpoint. These centers operate under the supervision of a physician that oversees all medical services. Both licensed and unlicensed pregnancy centers exist to serve women in ways that will enable them to care for their baby, such as by providing parenting classes, material goods, and emotional support. Women are in no way deceived about their pregnancy options. AB 775 is very different from reasonable regulations requiring disclaimers for commercial enterprises as food and drugs. Such regulations are constitutional and not at issue here. The core of this case is that the government is forcing non-profit pro-life pregnancy centers – which provide their services for free – to engage in speech contrary to their very reason for existence. The Supreme Court should uphold the right of these centers to be free from government-coerced speech. Elissa Graves is legal counsel with Alliance Defending Freedom which is representing the National Institute of Family and Life Advocates.